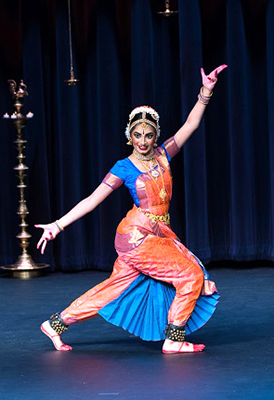 Neha Vijay has been a student of Bharatanatyam and Kuchipudi for the past nine years. 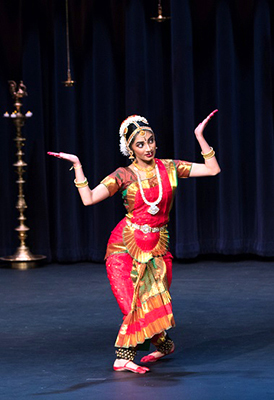 ‘Arangetram’ which literally means ‘ascending the stage’ is an important milestone in the life of every dance student. Compassionate and kind, by character, Neha is a bright and talented sophomore at Acton-Boxborough Regional High School. She is a volunteer at Ekal Vidyalaya. Neha supported Ekal by asking for donations for this cause in lieu of any gifts for her performance. Pushpa Baskaran, Secretary of Ekal New England, spoke of Neha’s achievements and her contribution to Ekal as a Youth Leader. Neha raised four Ekal schools from her Arangetram. Thanks to all families who supported Neha’s Campaign. The entire team of Bangalore, Erode and Coimbatore deserves a great appreciation for the perfect and wonderful performance of ‘EKAL SUR EKAL TAAL’. The ESET Team went on a South tour recently to Chapters on the 15th, 16th, and 17th of September respectively. 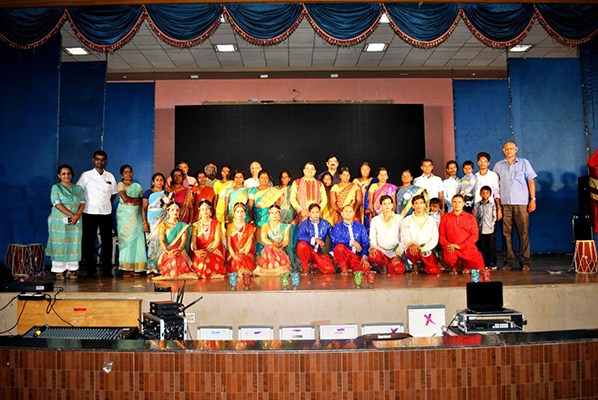 Subsequent to the tremendous success of the Musical Cultural Program ‘EKAL SUR EKAL TAAL’ by Ekal Artists in USA, they staged similar event in South India – Bangalore, Erode and Coimbatore, highlighting the impact of Ekal Abhiyan. 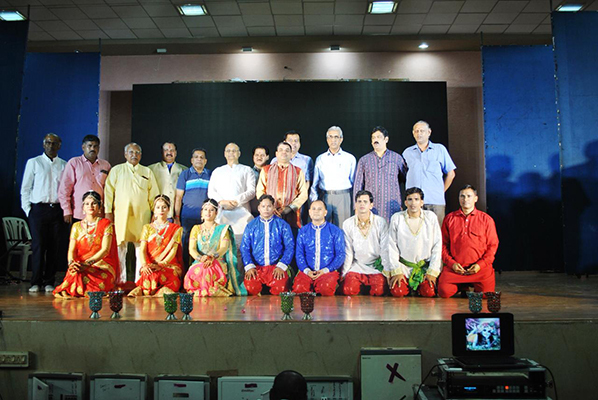 The evening was dedicated to the Ekal Artists. The show has been divided into four segments – mile sur mera thumara, meera medley, desh bakthi and krishna natika with synchronized visuals and enamored the crowd. The Desh Bakthi segment, in particular was very much loved by the audience because of its vivid costumes and the music kept the audience spellbound. The versatility of the artists in the transition across these multiple segments struck a chord with the audience. The grand finale displayed a short skit on the famous Krishna Natika, choreographed as a dance – drama with stunning visuals. The audience were so moved by the performance that they rewarded the artists with a long standing ovation. The audience complimented that this was the best program so far by tribal brothers and sisters. The planning, arrangements, stage management were excellent in all three places. Arogya Foundation of India (AFI) organized 60 Medical Camps in Jammu and Kashmir with CSR support from IRCON International Limited. The inaugural ceremony of these Medical Camp Series were organised at Kailash Ashram, Chinore, Jammu and Kashmir on 11th August 2018. The MOS PMO Dr Jitender Singh, MP from Udhampur Kathua Parlimentary Constituency presided as the Chief Guest and Swamy Divyanand Saraswathy was the Guest of Honor. 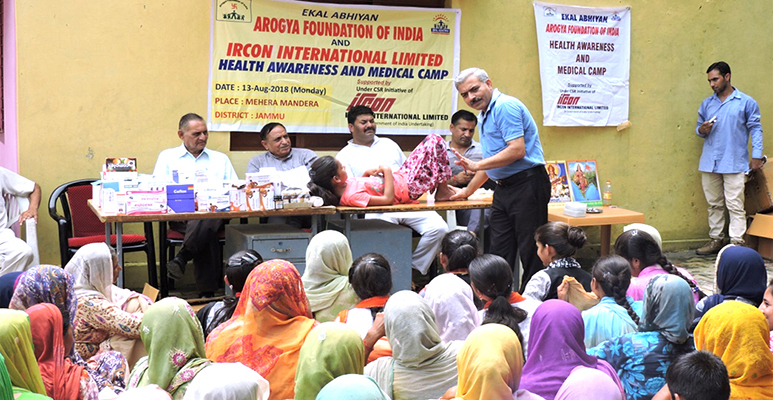 AFI has organized more than 300 medical camps in the last 3 years and 60 this year in remote and distant villages of Jammu and Kashmir with the support of IRCON International Limited. 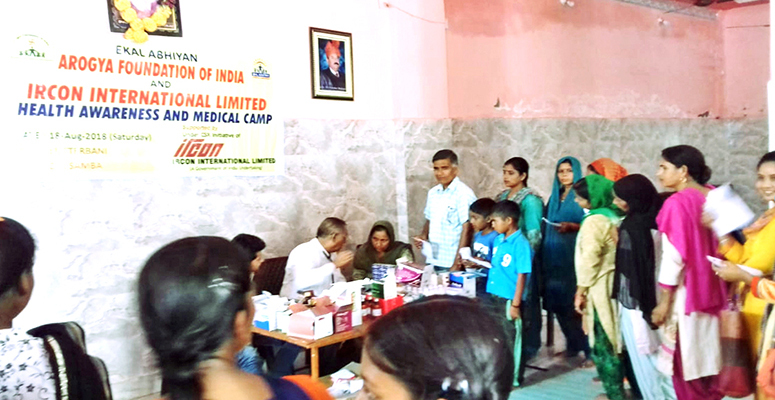 AFI not only provide medicines but also deliver health awareness lectures in all the medical camps. 1041 patients attended in 5 different medical camps organised in Kailash Ashram, a distant village in Kashmir, Khoor village of Akhnoor, Jammu near Pakistan border, Mahera Mandera in Akhnoor, Goran village and Utterbani in Samba district for various diseases including skin diseases, anemia, chest infection, joint pain. 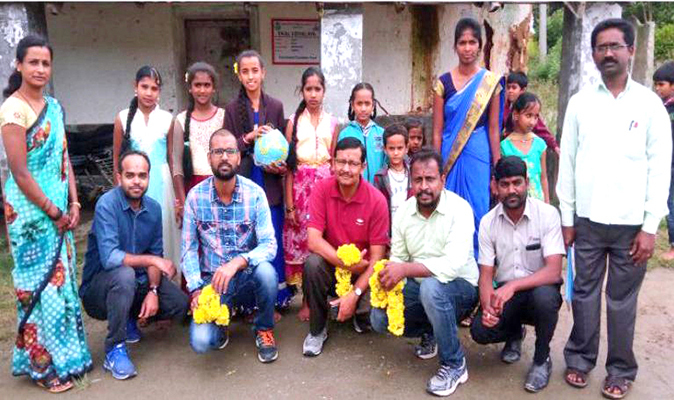 All the beneficiaries of these villages were very happy and according to the Sarpanch it was the first time that a team of doctors came to these villages and provided free medicine. 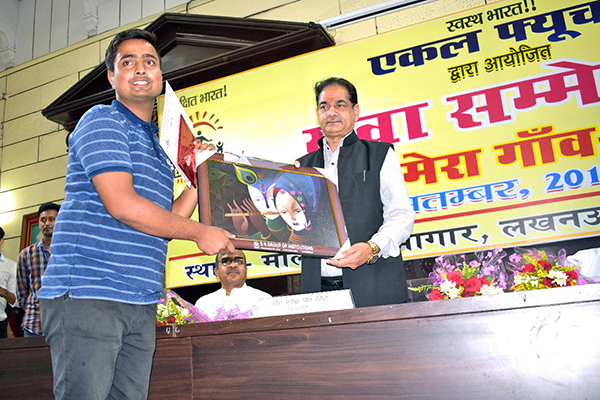 An oratorical contest on ‘Mera Gaun, Mera Desh’ (My Village, My Country) was held at the Defence Department of Lucknow University by Ekal Futures on 14th September 2018. 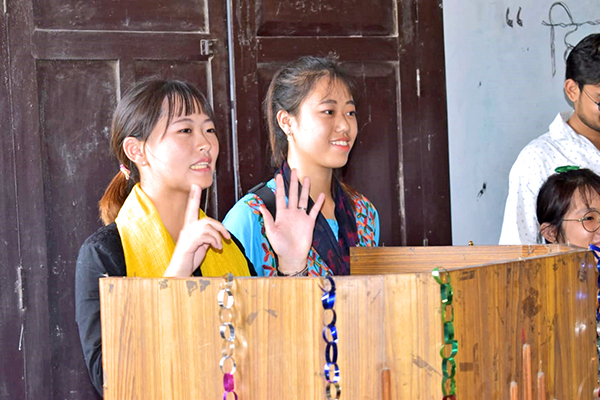 About 120 candidates from different colleges and universities participated in the competition. 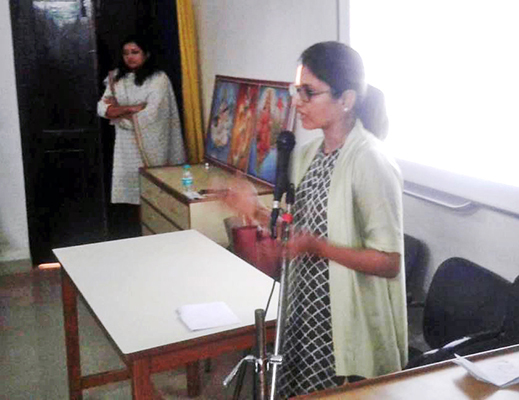 Students who have studied Hindi at the Lucknow University also gave their speech in pure Hindi. 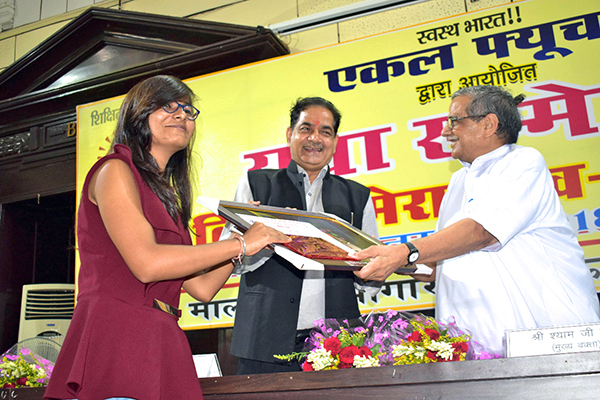 The prize distribution ceremony was held at the Lucknow University’s Malviya Hall on 16th September 2018. 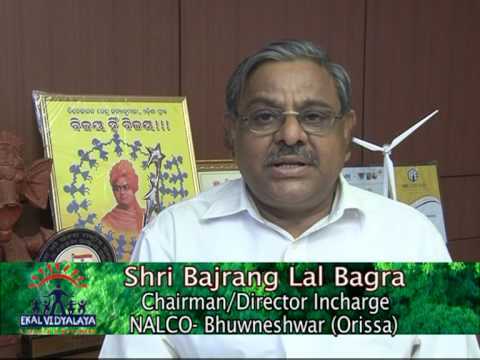 Shri S P Singh (Vice Chairman - Lucknow University), Keynote Speaker – MA. 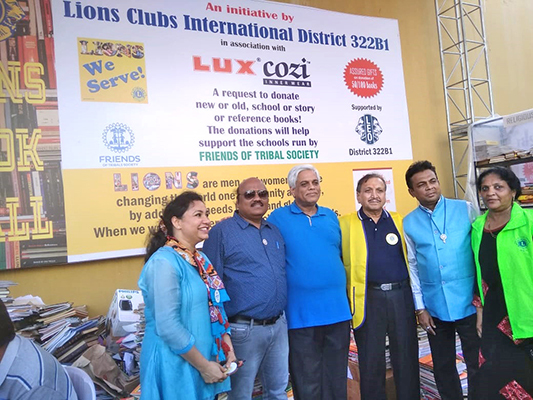 Shyamji Gupta, Ekal Abhiyan, Founder and Member, Shri Madhavendra Singh, Dr R B Singh, Special Guest, Shri Pawan Singh Chauhan, Shri Angad Singh and Shri Durgesh Tripathi, Chairman of Ekal Future presided over the occasion. Addressing the youngsters, Shri Shyamji Gupta stated that India is a country of villages, all the people living here are the children of a mother, that is, the Mother India. We must keep in mind that religion is bigger than caste and country is bigger than religion. He also conveyed the current challenges of today. Dr R B Singh highlighted the role of the program and Shri S P Singh said that youngsters are the destinies of India and advised them to do some good work for villages. The top ten youngsters who participated and won the first three places of the oratorical contest held on 17th September 2018 were presented the awards along with the certificate and were also honored by the guests. 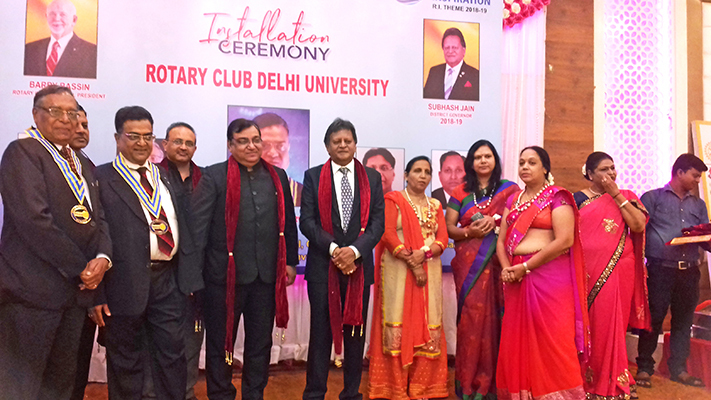 The Rotary Club University of Delhi announces its support for 200 Ekal Vidyalayas. 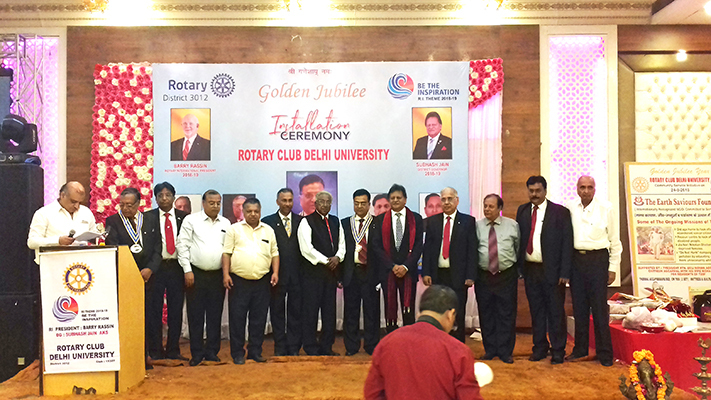 A meritorious honor ceremony was conducted by the Rotary Club of the University of Delhi on the occasion of their Golden Jubilee at Ashok Nagar in which all the members participated. The club announced that it would be sponsoring 200 Ekal Vidyalayas this year. They applauded Ekal Abhiyan’s work towards the development of education, health and rights of helpless rural and tribal children. Bharatiya Lok Shiksha Parishad spread awareness and information about Ekal Vidyalaya by setting up stalls. 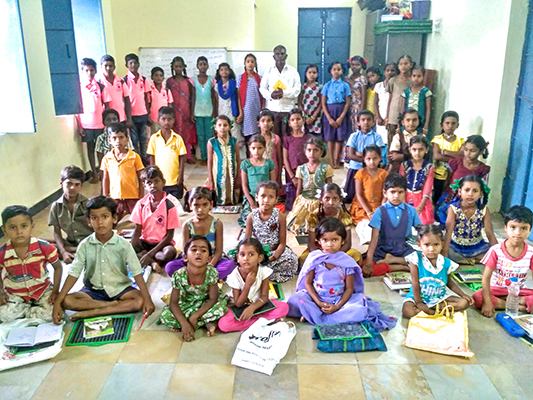 The Ekal Sansthan team of Coimbatore study circle visited two villages in KilKothagiri, Queensolai and Anna Nagar on 9th September 2018. 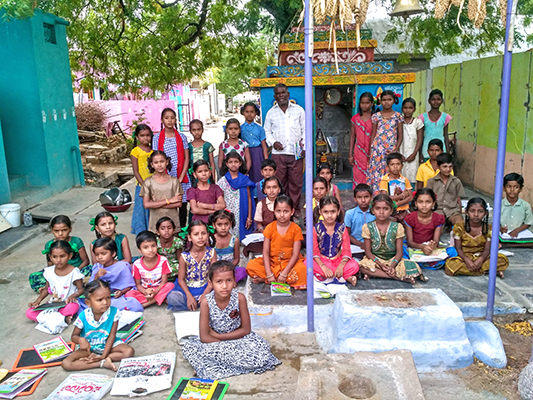 In Queensolai, they spent time with the vidyalaya children and met a villager, who provides awareness on traditional health practices of India which she learnt through AROGYA SHIKSHA provided by Ekal. 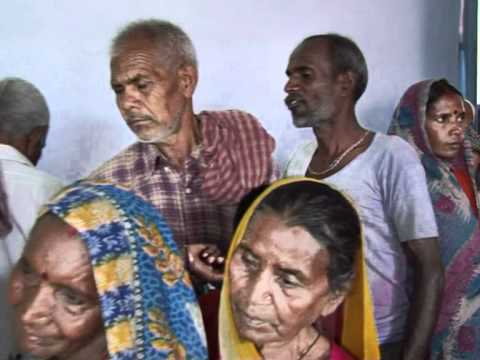 They also met 3 villagers who were helped by Acharya Smt Sumitra and got their pension, as part of one of the activities of Ekal called JAGRAN SHIKSHA. The team then went to Anna Nagar and met the samithi members. 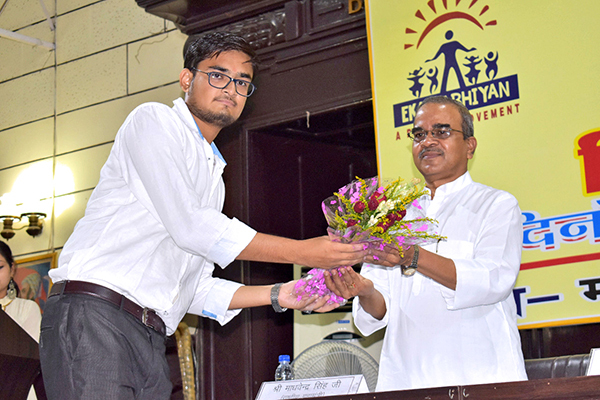 Ekal's unique and powerful program called PANCHAMUKHI SHIKSHA was discussed. 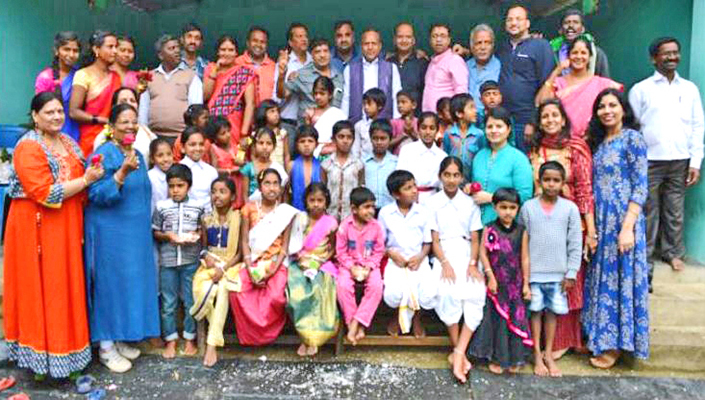 The gram samithi members were very much inspired by the program and committed to make an awareness among the villagers and implement Panchamukhi Shiksha in their villages. 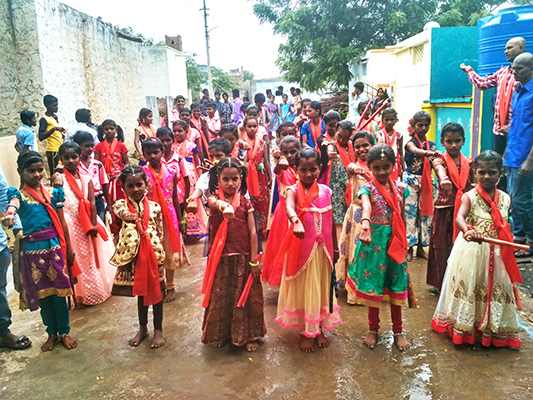 Ganga Pooja festival and Rakshabandan function were celebrated at Narayanapuram Ekal Village, Adoni Sanch, Kurnool Anchal, Andhra Bhag on 27th August 2018. A good number of people including students and samithi with the public participated in the program. The students contributed Rs 4500 for the DJ Sound System for music from the amount they received as gifts from relatives and friends for Kolkata Dance Exhibition. It was a Scheduled Caste Basti in which most of the students belong to SC caste and some students belong to Other Castes and Backward Castes. Their parents are agricultural labourers. The Acharya in this school belong to SC and is loved and respected by all the students and villagers. He is a very honest, sincere and hard working person. 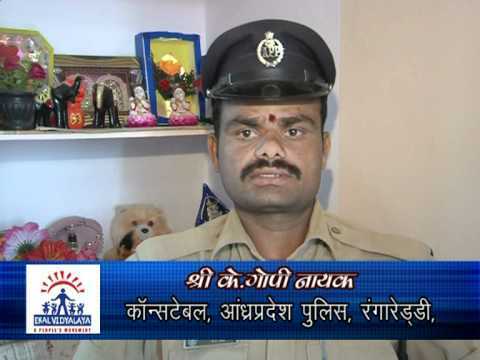 Kum Malleeswari, one of his daughters, also provides good coaching to the students. One samithi Yuvak Shri Sundar Sastry, is an excellent coach to them. 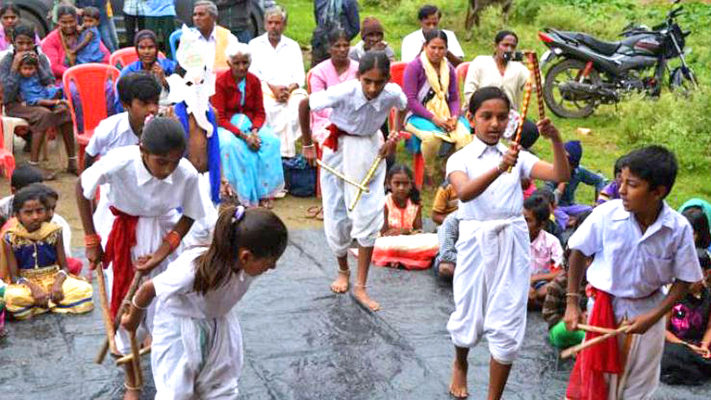 These people conduct Ekal Cultural Programs in nearby villages during festival times. 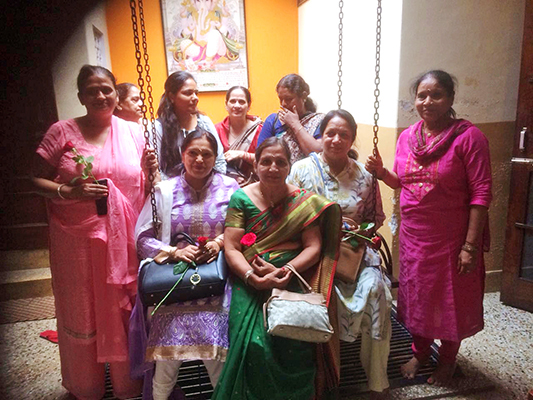 The FTS Mahila wing visited Mathura to celebrate Rakhi with Karyakartas and Acharyas on 21st August 2018. Karyakartas from 5 Anchals, Acharyas from 3 Sanch had come. 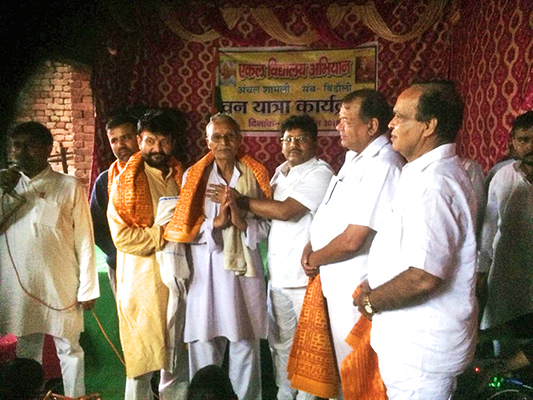 The other Rakhis were handed over to senior Karyakartas and sweets were also distributed. 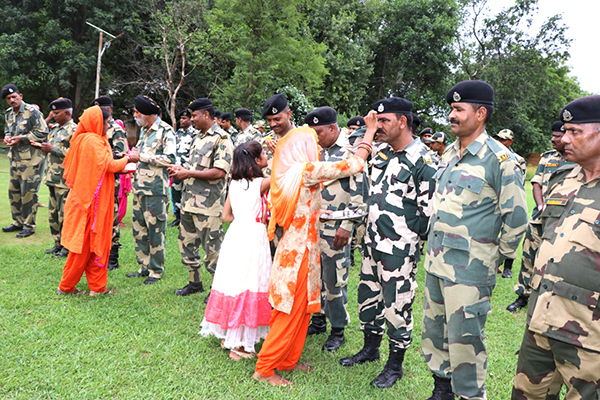 The Ekal Karyakartas also celebrated Rakhi with Armed Forces in the BSF Camp at NuhMewat in Branjmandal, UP Sambhag. The Chapter organized Srimad Bhagwat Geeta Katha from 28th August 2018 to 02 September 2018 for promoting the activities of Ekal Movement. 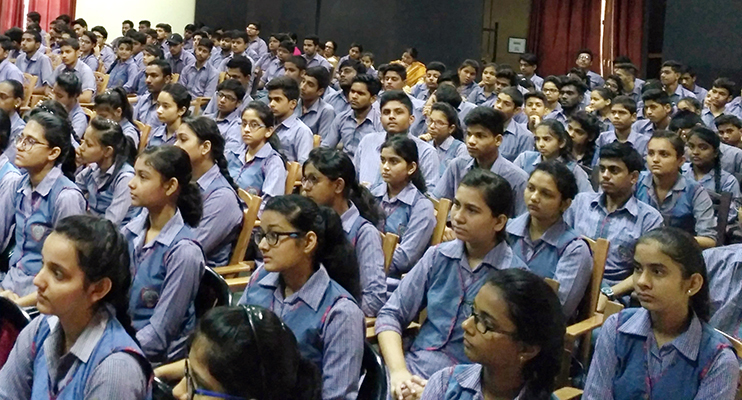 An Ekal presentation was conducted for promoting and creating awareness of Ekal for students of Hari Nagar School in New Delhi. 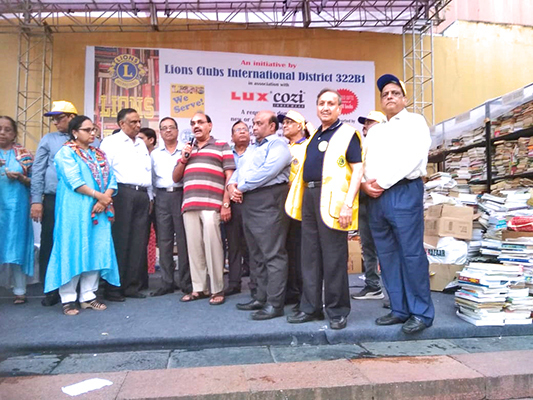 The lions club 332B Kolkata organised a camp for collection of old books at the famous City Centre. The proceeds of these old books were donated to Ekal. Approximately 30,000 books were collected at this camp by 100 youngsters. Shri Dayananda, Ekal supporter from Dubai, went on for a Vanayatra with his family to Ekal Vidyalaya near Manikaran Kullu, Himachal Pradesh. 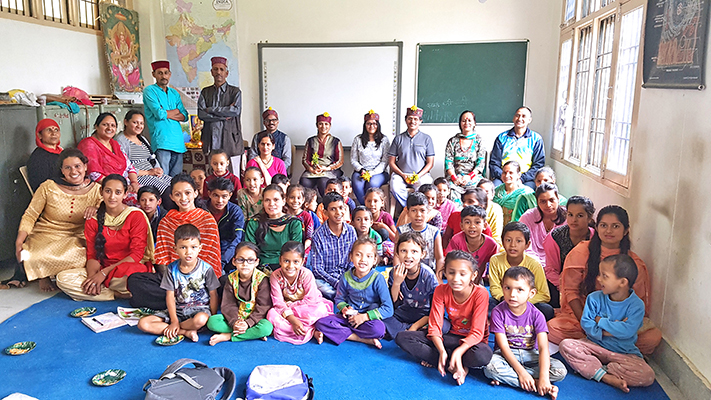 They were well received by Ms Mamatha Sharma (Bhag Anbhiyan Pramukh, Kullu) and her team. Ms Mamatha explained various activities being taken up after regular school hours, like teaching Indian culture and traditional values. Many students showcased their talents by singing, storytelling, narrating short moral stories etc. Shri Dayananda Hebbar gave a brief talk about the activities that has been carried out in Dubai and Sharjah towards upholding our Indian tradition and Culture and how they got connected to Ekal through recent visit of prominent people who were connected with Ekal activities. 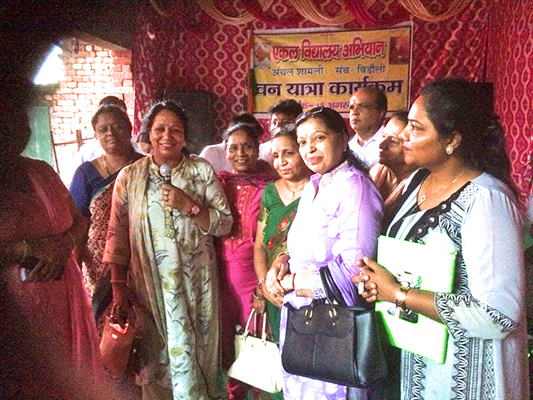 Mahila Samithi of North Delhi Bharat Lok Shiksha Parishad Chapter organized a Vanyatra to Bidoli Sanch of Shamli Anchal. They were all welcomed with great joy by the rural society. 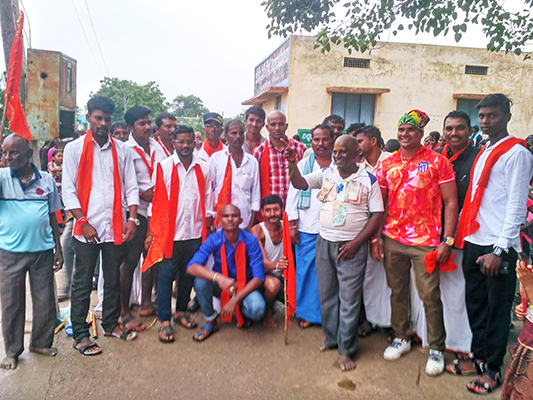 A vanayatra was organized on the 10th August 2018 to Mokali Village, Doddamagge Sanch and J.Hosalli Village, Ramanathapur Sanch Hassan Anchal. Shri Vinit Shukla, Shri Balaji Asaithambi, Shri Ankur Sinha, Shri Satyam Tiwary and Shri Jitendra Gupta visited the Ekal Vidyalayas. 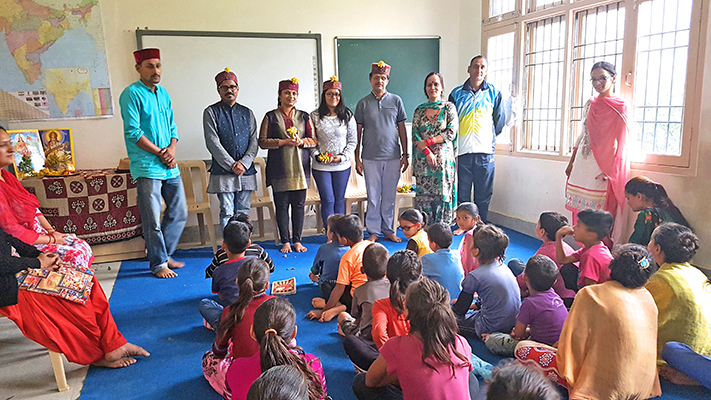 The students and the teachers together chanted Omkara, which was followed by devotional / patriotic songs and finally yoga demonstrations and other activities. The children demonstrated what they learnt in Ekal and they explained the benefits they derived from the Ekal Vidyalaya. There were 19 children altogether and the event was well organizsed. Two other Vanayatras were held on 12th August 2018 at Garigatta and Bettadahalli village, Doddamagge Sanch, Hassan Anchal. 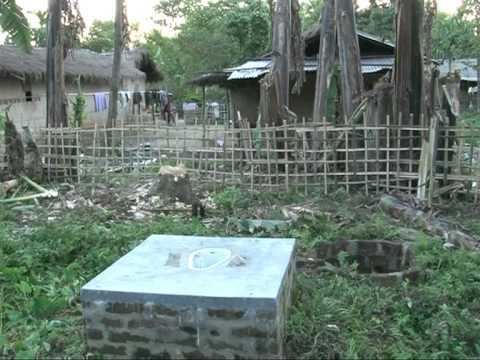 About 20 members and donors took part in the vanyatra. They visited both Garighatta and Bettadalli villages. 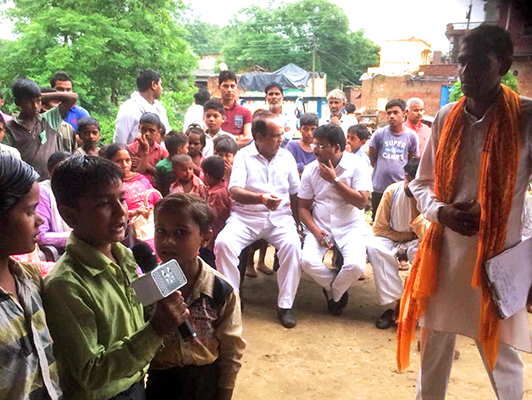 The visitors were extended a grand welcome by the villagers. A small cultural program was held in the village to mark the occasion, which began by lighting the lamp and chanting of Omkar. Prayers were done by the children and some cultural programs succeeded it. The children were presented with gifts.